Learn how to 3D Print and Scan. This guide will give an overview of how to design for and use a 3D printer. There are also helpful links to widen your knowledge of Belk Library and Information Commons' 3D printing and scanning resources. Always wanted to learn how to 3D print or scan? At the Belk Library and Information Commons, you can do both. Use this guide to learn the basics, then come in and try it out. If you have any questions, call Hannah Pope at (828) 262- 2823 or email popehl@appstate.edu for a quick question or to set up an appointment. Check out our Inspire Maker Lab guide for more exciting technologies! FREE 3D printing is now available for class projects! We will begin charging a minimal fee for personal prints. 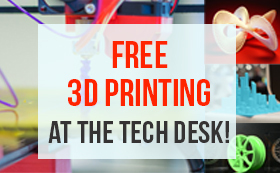 In order to get free 3D printing, complete ONE of the following: attend a 3D printing workshop, take the AsULearn module under Belk Library Makerspace, or schedule a consultation. 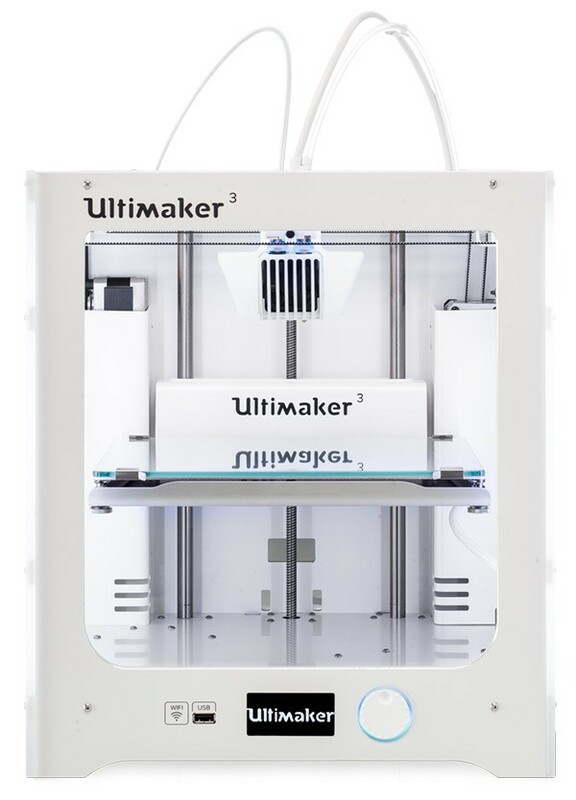 Only available for the Ultimaker 3 and Fusion3 printers. 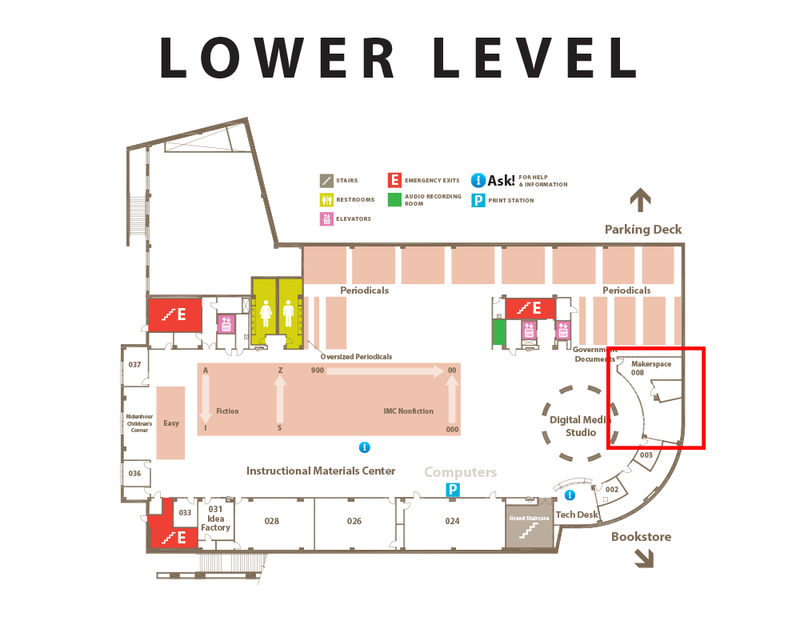 3D printing at Belk Library and Information Commons is located on the Lower Level in the Inspire Maker Lab. Need help finding your way there? Check out this handy map. 3D Scanning can be done anywhere, but ask for assistance at the Tech Desk in order to use the 3D Structure Scanner. There are many great programs that you can run from home, but the Digital Media Studio located across from the Tech Desk on the Lower Level is a great place to go to create your models. There are also staff members who can help you out if you get stuck. Check out our guides to learn about 3D printing and scanning! 3D Printing is the process of converting a 3D Model into a solid, three dimensional object. The most common type of 3D printing, and the type used at Belk Library is called FDM or “fused deposition modeling” which refers to the extrusion of molten plastic through the print head and deposited, layer on layer, to create the object. The Belk Library has an Ultimaker 3, a Fusion3, and a Stratasys uPrint SE Plus printer. 3D scanning is the process of taking a physical model and transforming it into a digital copy. Using sensors and cameras, objects can be scanned and made into a digital copy that can be manipulated in various software, or used to 3D print. 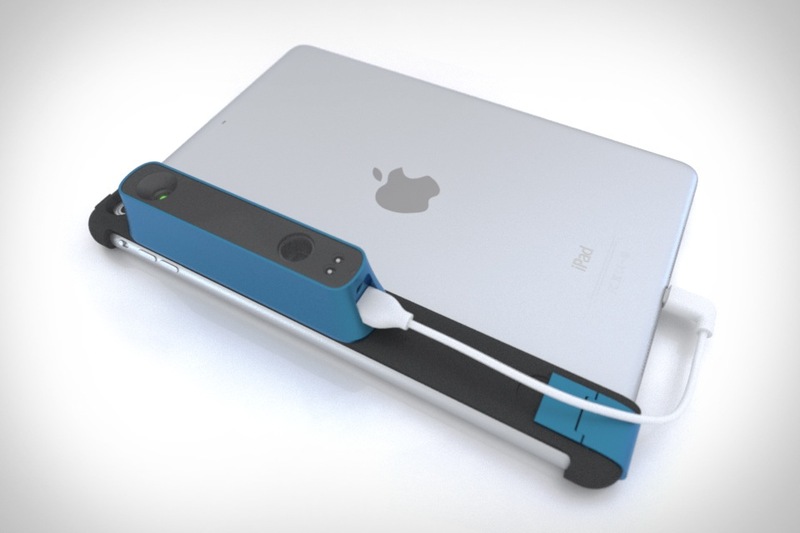 The Belk Library Tech Desk checks out a Structure Sensor 3D scanner attached to an iPad.